On this episode we talk about Americas first serial killer and possibly the most prolific in US history. HH Holmes confessed to 27 murders after his arrest in the final years of the 19th century and most of the missing persons associated with his case have never been found and their crime remain unsolved. Herman Mudgett grew from a young New Hampshire boy with a fascination with dead bodies to a grim hotel owner where a seris of trap doors and torture devices helped in the early expiration of his victims. A travelling salesman and confidence manipulating conman, he married many times and made his bones on insurance scams in the late 1800s. After a series of near misses by law enforcement HH Holmes went on his last journey, leaving a trail of dead bodies behind him on the way to the great white north. Join us as we talk about him and the motives and consequences of his crimes, on this our first official TCG True Crime episode. Let us know what you think and there is a lot more on the way. TRUE CRIMEOn this episode of Those Conspiracy Guys we talk about the most mysterious unsolved crime to grace the skies of the United States, the strange tale of DB Cooper. On 24th November 1971 a man in a fancy suit and sunglasses stole $200,000 dollars from authorities after he hijacked a plane and then jumped from that plane with the money, never to be seen or heard from again.For forty years this crime has been unsolved and no one knows the identity of the gentleman thief. Some are putting out some pretty good guesses but they are all still fruitless. Its speculated that he was a military man with training; some say he worked for the airline; some even speculate that it was an inside job and he many never have existed at all!Comedian Chris Kent joins me to talk about DB Cooper and the strange tale of where this cash went and why he was never found! We also talk about other famous hijackings, loads of other suspects from down through the years who could be the infamous DB Cooper and the fact that everyone in the 60s wanted to hijack planes to Cuba! You can find Chris from the links below.Presented by Gordo and Chris Kent - You can find Chris at http://www.twitter.com/chriskentcomic or http://www.chriskentcomedy.com ---------------LIVE SHOW TICKETS---------------TCG will have a LIVE SHOW on 9th October in The Sugar Club, Dublin and tickets are available from TicketMaster here: https://goo.gl/F9rBUw-----------------TCGTV PROJECT-----------------Please support the TCG TV project by visiting http://www.gofundme.com/tcgtv and donating what you can. All the details will be there and anything thats missing will be added very shortly. Your support is greatly appreciated and I will take a year and travel all across the continental US making documentaries and a daily vlog as I meet other podcasters, youtubers, conspiracy experts, witnesses, scientists and go to all the places we only talk about on the show! Its a big swing at a unique media endeavour and the TCG fans can make it happen.If you dont want to use GoFundMe you can donate via PayPal and get all the perks and added to the GFM mailing list just the same. Click this link to donate www.paypal.me/thoseconspiracyguys----------CONTACT----------Email us with comments or questions info@thoseconspiracyguys.comVisit our website for all our sources and TCG news at http://www.thoseconspiracyguys.comThere is also a Discord server where all the super fans hang out and chat, episodes are discussed, news and current events are shared and craic is had all over. Click this link to join the audio/video and text chat rooms http://discord.gg/RGjUeW2 Patreons get access to loads of other secret channels there and every episode has its own place to chat so to visit this episodes channel click here https://discord.gg/JbXHbf---------------SOCIAL MEDIA---------------If you're on Twitter follow http://www.twitter.com/tconspiracyguys @tconspiracyguys is Gordo Send us your links, questions and comments on Facebook and we reply to as many people as we can http://www.facebook.com/thoseconspiracyguysYou can also get stories and our IGTV at the TCG Instagram http://www.instagram.com/thoseconspiracyguys----------SUPPORT----------Also you can support us by visiting http://www.patreon.com/thoseconspiracyguys and your donations help keep the show alive and thriving, you get discounts on merchandise, outtakes, early releases and a backstage pass to a live TCG discussion show every month plus loads more.--------MERCH--------If you are really loving the show you can buy merchandise at http://goo.gl/xHXYWg which is a link to our TeePublic store where you can get hundreds of conspiracy designs all curated by episode and available on t-shirts and hoodies as well as mugs, tote bags, phone cases, canvas prints, notebooks, pillows and stickers. --------------MORE MEDIA--------------You can check out some of our video content at http://www.youtube.com/thoseconspiracyguys and get all the updates of sources from the show and live chat streams we do every month. You can also check out videos of some of the sources that cant really live on YouTube on www.minds.com/thoseconspiracyguys and https://www.bitchute.com/thoseconspiracyguys/ which are alternatives to YouTube for streaming video. These websites are a little more creator friendly when it comes to content like ours and documentaries and other video sources can be found there.We stream Live Chats with Patreon fans on http://www.twitch.tv/thoseconspiracyguys where you can watch there and join in on the chat! 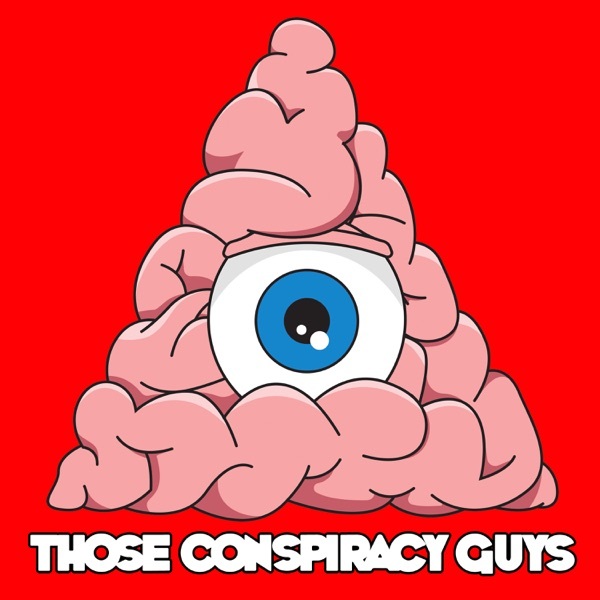 Or if you want to join in on these chats on video you can become a supporter of the show at www.patreon.com/thoseconspiracyguys and you can get screen time to discuss the previous episodes or current conspiracy news. 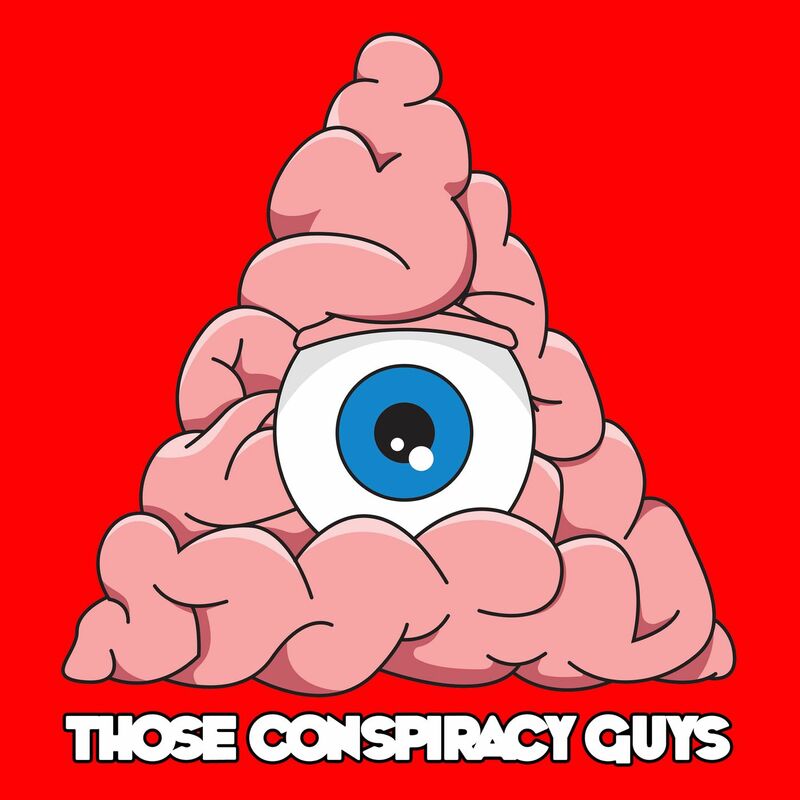 I also plan to livestream the podcast recordings there as well so subscribe Other sources available and add them to your own boards on Pinterest at http://www.pinterest.com/tconspiracyguysHead over to our subreddit and see what the community is up to at http://www.reddit.com/r/thoseconspiracyguysThere is also an audio app where we can chat about current events or just share audio clips here Anchor - https://anchor.fm/thoseconspiracyguysAnd a block chain based blog site for content that is now considered not mainstream is at Minds - www.minds.com/thoseconspiracyguys --------------OTHER PODCASTS--------------We also have a new podcast where we discuss Movies, TV and Video Games called 'Why Press Play' and you can find us on any platform by searching ‘WhyPressPlay’. I try to find the hidden gems in media of old so when you are browsing a Netflix queue or looking for something good to watch you can catch those great movies that you would normally pass over. Spend less time choosing and more time watching!